KSR Architects won the RIBA competition to design 7 For All Mankind'sRegent Street Shop Window. We worked closely with contractors KTBS Ltd on the design and the display lighting with Lighting.London to create a simple and elegant installation made from 300m of gently moving fabric to form a cloud-like forest. 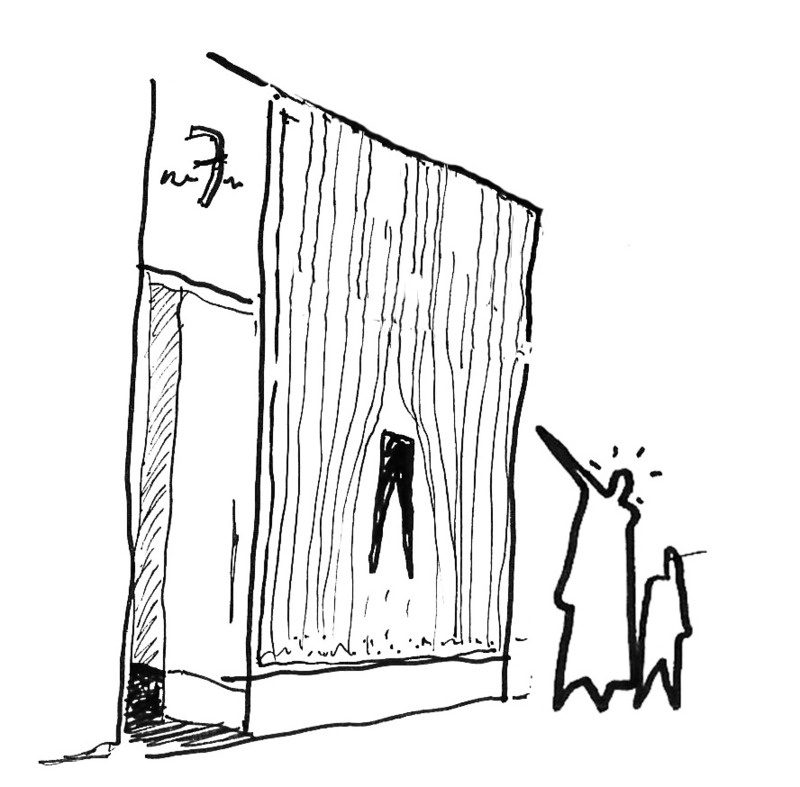 The forest parts like a stage curtain to unveil 7 For All Mankind's brand new b(air) jeans miraculously levitating in the centre of the display. The window evoked feelings of floating, weightlessness, elegance, comfort and softness. We worked hard to capture the sensation of wearing the new b(air) jeans which are light as air and soft as silk. The hypnotic and yet minimal installation sought to stand out from the clutter of a busy fashion street. The window installation was up for three weeks from 5-25 September 2016 and coincided with both London Fashion Week and the London Design Festival.